Hey guys, Trav4 here. So if you know anything about you know that I love my Oilers, I had a semi-testi temper on the ice and I love my OD1N 1S gear from Bauer. There has been a lot of negative press on the 1S line in GGSU and other online forums that seem to be biased to companies like Brian’s and Passau, etc but when Bauer agreed to send me some demo units almost a year ago I wanted to come in with the most unbiased mindset I possibly could have and make my own opinions for myself. 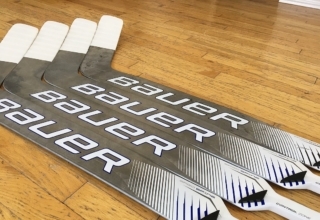 The Supreme line has been around for years but like in years past the 1S line is a butterfly style pad but Bauer has put 4 years of R&D into this gear to (IMO) make it the coolest most innovative product on the market. 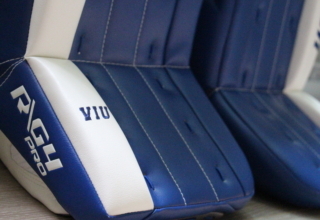 So previous to getting this set of 1S pads, I was briefly in Brian’s Sub Zero 3 pads before Brian’s took them back and gave up on my custom order, then I was in Reebok P4’s from December 2012 until July 2016. Then before that Bauer Supreme One80 pads and those One80’s were what got me into a butterfly style pad and i haven’t switched and don’t plan on it anytime soon. So right out of the gate these 1s pads are built to my liking. So there was a lot of hype on these 1S pads for having all of these innovations and technologies built and right off the bat you notice them and it makes a difference. Right off the bat the slide and seal is unrivalled. First butterfly slide and backside push I was sliding into the corners of the ice, I kid you not. 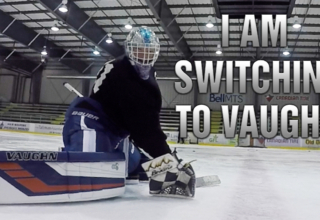 It makes things a lot easier on me knowing that I don’t have to push as hard or be as explosive considering I already got bad hips and knees at only 20 years old but thats apart of being a goaltender. The rock hard rebounds are another game changer. If you haven’t seen some of the rebounds firing off of Devan Dubnyk or Henrik Lundqvist you know what I’m talking about. 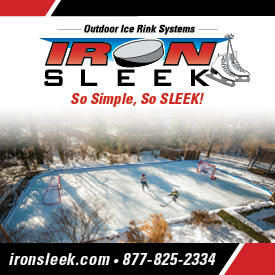 I’ve always hated pucks that trickle around the crease. Only downside is that if you boot a rebound to an opposing player you might as well be making a tape to tape pass. It’s a double edge sword but thats the way she goes with a stiff face pad. So the CRS is Bauer’s new strapping system and I’ve always been a hater on the velcro strapping. I hated Brian’s smart strap they put on my Sub 3’s and wasn’t too excited about this CRS, but here we are almost a year later and I wouldn’t use anything but the CRS. 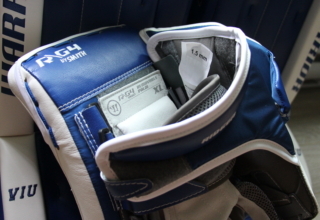 The 1S pads come with long and short velcro straps and you can dial it in to your liking. It will take a few ice times to play around and get the right feel for these straps but once you get it down it is smooth sailing. 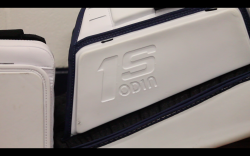 Here is a picture from the HockeyShop that shows off the CRS strapping. So this is what is still blowing my mind to this day over a year later. So first off Bauer sent me one set of demos in July 2016 (the navy blue 1S pad you saw me wear at the beginning of the season) and another at the end of November 2016 (all white 1s). So when I went from the older to the new I felt a slight noticeable difference in the landing gear and how stiff it was compared to the old stuff that had 4 1/2 of wear on it. Keeping in mind that I’m also 6’5 215lbs right now so that will play a role in the break down process as opposed to your more typical goalie who is 6’1-6’3 165-175lbs. Even with the breakdown of the landing strip these still slight unbelievably easy. Zipped across the ice in a backside push or bumping off the post in an RVH. I can’t speak enough on how well these slide and seal. Here is a picture of the inside landing gear on the 1st set I got. So this is where the review goes from a perfect score to the 9/10 score that I gave this gear in my original video review in September 2016. There are legitimately no custom options to speak of. I love custom options, I’m the type of person where if I’m ordering gear, I want to dial everything in and have a killer looking set from an aesthetic standpoint as well. 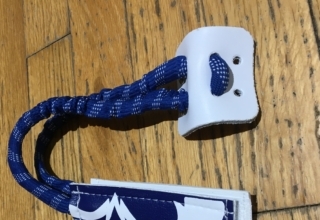 Sadly Bauer offers a handful of colours with 1 colour zone on the face and you can change the colour of the binding nylon and you have select a white or black leg channel. So basically 3 colour zones (when all the competitors have 15+) and for specs, you can change out the CRS for leather straps, change the sizes but can’t add a thigh rise since they changed all of their sizing to large, XL and XXL which can be confusing for some consumers. Overall I’m not mad but just really disappointed in the lack of custom options. Overall, all I really got to say is these are the best performing pad I have ever encountered. 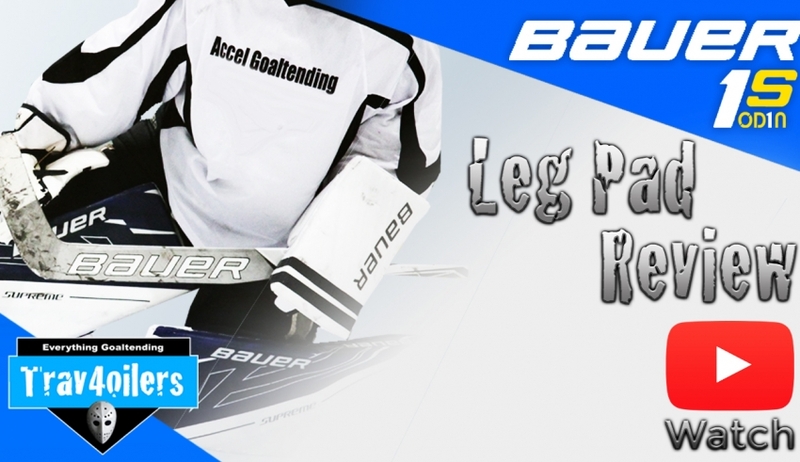 I’m curious as to how Bauer is going to continue improving on these innovations moving forward. 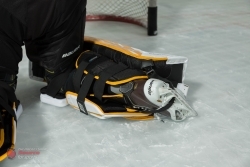 Slide seal is incredible, I love the long rebounds and overall I feel my game has improved just off these pads online. I couldn’t feel better about my game if I was in anything else that wasn’t the 1S OD1N line. So here we are almost a year later and obviously the pads have taken some minor wear and tear but I absolutely love these things, I can say they are worth the $2000 price tag and if I’m dishing out 2G on a set of pro pads, I wouldn’t spend it on anything that isn’t the 1s pads, simple as that. I stand behind the original review from September and my updated review from Christmas time. I’ll leave the link to that at the end of this article for those of you interested in that. So thats my 1s pad review, as I’ve said and preached on all the Trav4 social media and Youtube, if you have an open mind I think you’ll love these pads the same way I did. They’ve lasted me an entire season of Junior hockey and summer training. What do you think, have you tried the 1S line, have you not. Whatever it is let me know on Instagram, Twitter and Facebook @Trav4oilers or obviously on Youtube. 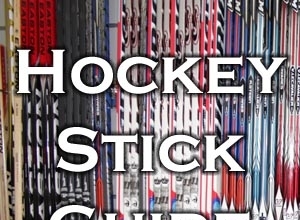 Thanks for reading this written review and stay tuned because I’ll be doing all this cover for the Vapor 1X line very soon. 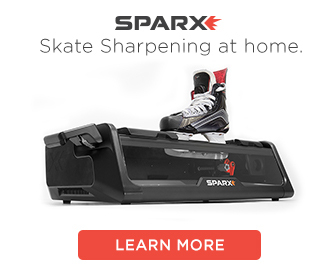 Previous article Brian’s G-Netik 3/Sub Zero 3 Gear Review | Why I’ll Never Order from Brian’s Again.